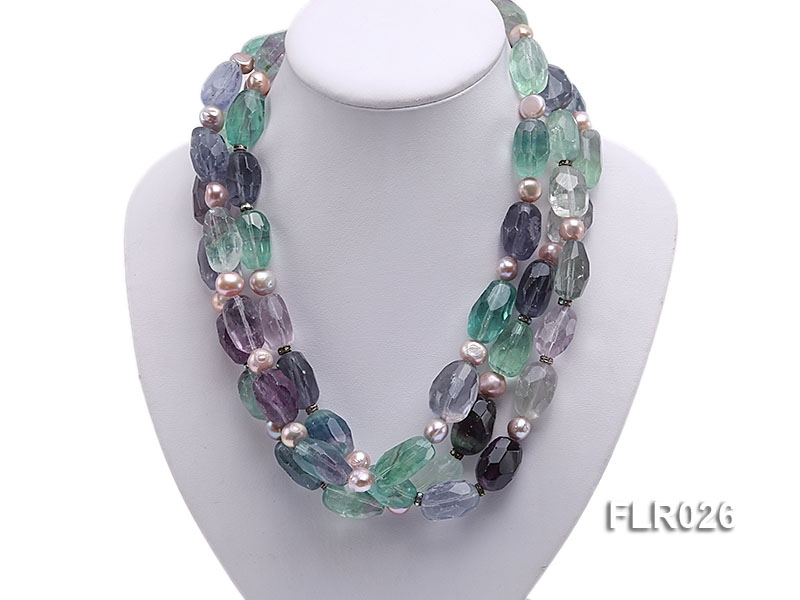 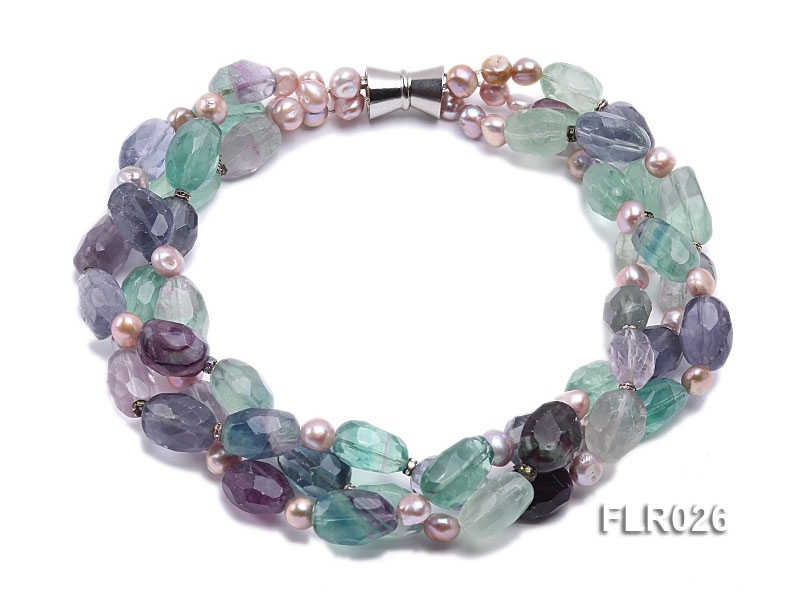 Beautiful three-strand fluorite necklace is carefully strung with 15x25mm multi-color faceted fluorite beads and 9mm lavender freshwater pearls. 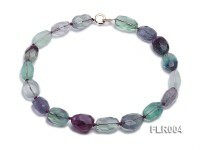 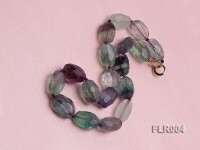 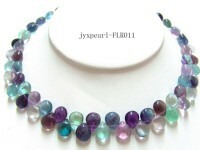 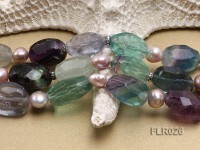 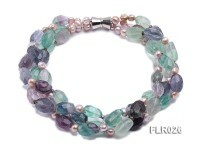 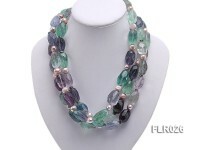 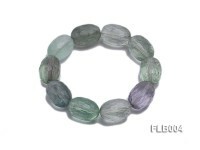 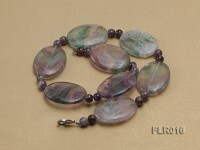 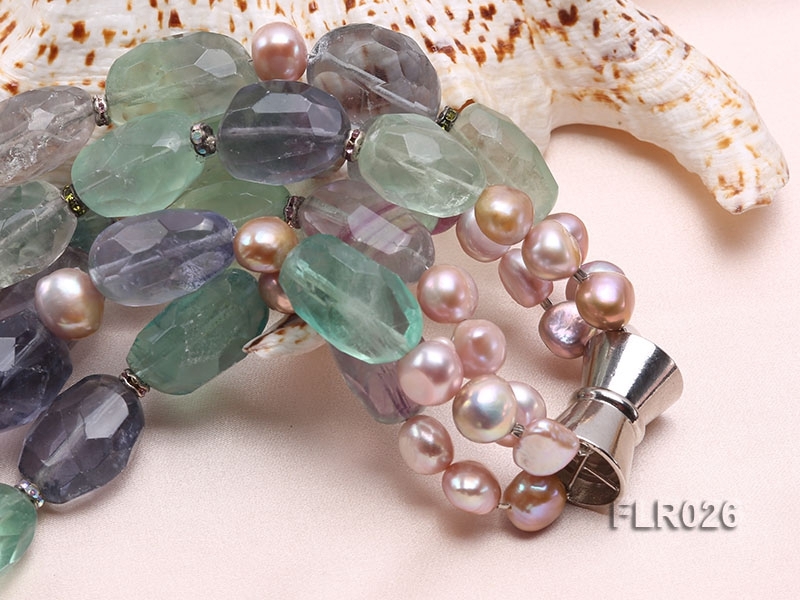 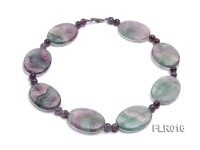 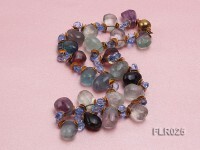 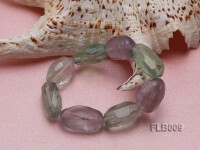 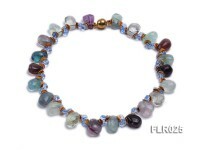 The fluorite necklace is 21 inches long and closed by an easy-to-use magnetic clasp. 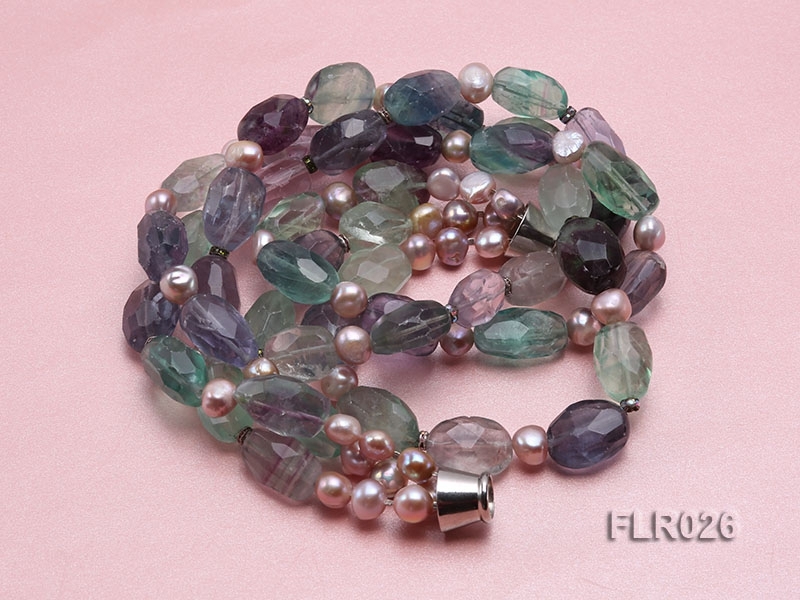 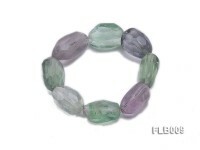 Fluorite is one colorful mineral which is best for students and office workers to develop creative thought and analytical capability during long-time wear.